China’s first cargo spacecraft, Tianzhou-1, was launched successfully at 7:41 pm Beijing Time Thursday, a crucial step for the country to build a space station by approximately 2022. Lifted by a Long March-7 Y2 carrier rocket, Tianzhou-1 roared into space from Wenchang Space Launch Center in Hainan Province on Thursday evening. The cargo ship will dock with the orbiting Tiangong-2 space lab, provide fuel and other supplies, and conduct space experiments before falling back to Earth. The launch of Tianzhou-1 was a “zero-window” mission, which means it had to be launched at precisely 7:41:28 pm, with no room for error, China Central Television reported. The cargo ship is 10.6 meters long and has a maximum diameter of 3.35 meters. Its maximum takeoff weight is 13.5 tons, allowing it to carry over 6 tons of supplies. Tianzhou-1 is larger and heavier than Tiangong-2, which is 10.4 meters in length and has a maximum diameter of 3.35 meters, weighing 8.6 tons, the Xinhua News Agency reported. “Tianzhou-1’s cargo usually includes space food, medicine, water and so on, for three people’s use for 30 days, but this time it is a unmanned flight, so we put simulated cargo that weighs the same in the spacecraft,” Huang Weifen, deputy chief designer of China’s manned space project astronaut system, told the Global Times. The biggest challenge of this mission is that new spacecraft, new rockets and the new launch site need to match each other, Xu said. When Tianzhou-1 completes its mission, it will make an automatic destructive re-entry into Earth’s atmosphere. “This shows that China’s environmental awareness of space has improved, and this is a good attempt to reduce space junk. Tianzhou-1 will fall into the South Pacific under our control when its mission ends,” Xu said. Bai Mingsheng, chief designer of the cargo ship, told Xinhua that the cargo aboard the spacecraft weighs almost the same as the ship, exceeding the load capacity of Russian cargo ships in active service. 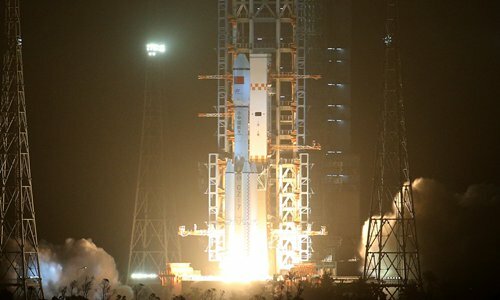 If the Tianzhou-1 mission is successful, China will become the third country besides Russia and the US to master the technique of refueling in space. 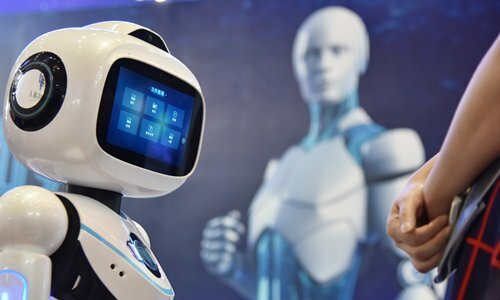 “In general, Tianzhou-1’s technology is definitely in the first-class around the globe, at the same stage as Russia and the US. Although Europe and Japan also have their own cargo spacecraft and their payload capacity is bigger than Tianzhou-1, they heavily rely on US and Russian technological support in various aspects,” Song Zhongping, a military expert who served in the Second Artillery Corps (now known as the PLA Rocket Force), told the Global Times on Thursday. From launch to automatic destruction, China’s Tianzhou-1 doesn’t need to rely on any other country’s facilities or technology, and compared to the US’ Cygnus and Dragon, its payload capacity is bigger and technologically more reliable and advanced in general, Song said. China aims to build a permanent space station that is expected to orbit for at least 10 years, and the maiden voyage of the cargo ship is important as it will be a courier to help maintain the space station. Without a cargo transportation system, the station would run out of power and basic necessities, causing it to fall back to Earth before the designated time, Xinhua reported. Currently, the only space station is the International Space Station (ISS), which was mainly pushed by the US and Russia and was launched in 1998. It should reach the end of its mission in 2020, but the US and Russia might decide to extend its lifetime a little bit, Song said. According to previous reports in the Global Times, in order to prevent China from sharing in advanced space technology, the US always refused any attempt from China to join the ISS program, despite efforts China made in 2000. “But we are going to have our own space station very soon. After 2020, China’s Tiangong will very likely become the only space station in service, and will provide services to more developing countries so more countries can benefit from humanity’s achievements in space technology,” Song said. WENCHANG, Hainan, April 20 (Xinhua) — China has taken another step toward its goal of putting a space station into orbit around 2022, by sending its first cargo spacecraft Tianzhou-1 into space on Thursday evening. Atop a Long March-7 Y2 carrier rocket, Tianzhou-1 rose into the air from the Wenchang Space Launch Center in south China’s Hainan Province at 7:41 p.m. The cargo ship will dock with the orbiting Tiangong-2 space lab where two Chinese astronauts spent 30 days in the country’s longest-ever manned space mission, provide fuel and other supplies to the latter, as well as conduct space experiments before falling back to Earth. “The Tianzhou-1 mission includes the breakthrough of in-orbit refueling and other key technology needed to build a space station, laying a foundation for future space station operations,” said Bai Mingsheng, chief designer of the cargo ship. Bai said that supplies loaded on the cargo spacecraft are nearly as heavy as the ship’s own weight, exceeding the loading capacity of Russian cargo ships in active service. “We hope to gather relevant data through this mission and accumulate experience for sending material for the future space station,” she said. Although China has achieved many giant steps in space exploration, the country’s space odyssey is far from over as it eyes building its own space station and far beyond that: landing on Mars. Chinese scientists said they plan to launch a core module of the country’s first space station around 2018, followed by two experiment modules. The country strives to realize the third step of its lunar program in 2017: sending Chang’e-5 lunar probe onto the moon which will return with samples. tissues or organs lost due to illness or injury, just like gecko can regrow a tail. Scientists will test a medicine to treat bone loss during the maiden voyage of China’s first cargo spacecraft Tianzhou-1. The medicine has been specially developed for astronauts, but they hope it will benefit ordinary people too. As astronauts continue to break records for time spent in space and manned Mars exploration is under discussion, scientists in China have begun a groundbreaking study to determine if humans can reproduce in space. A video featuring hundreds of orange robots sorting packages, scuttling across a factory platform like an army of ants, went viral in China over the past week.